To set your handling time for your Amazon products, you will find it known as Fulfillment Latency. To begin using this field, you need to create a custom field first. 1. Go to Settings > Advanced and then click Add Custom User Field. - Default: this is your number of days. Only enter a number, such as 3 if you want to offer 3 day shipping. 2. 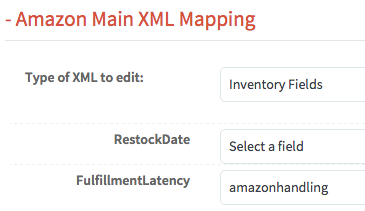 Now, go to Settings > Channels and click Amazon Main XML Mapping. 3. Next, select Inventory Fields for the Type of XML to edit. You will see two options. Under FullfillmentLatency, select anazonhandling and then click Save Settings. This sets 3 days as your default handling time in Amazon. 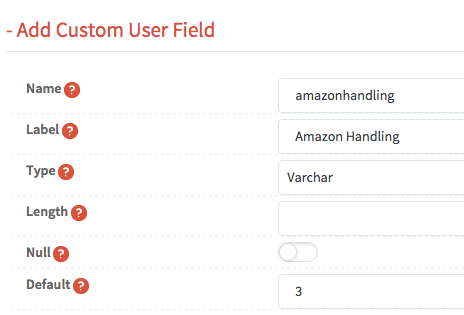 If you have a specific product that needs less than 3 days, you can do it on an individual basis by scrolling down to the Custom Fields section on the editor, and you will find Amazon Handling where you can enter 2 for 2 days. 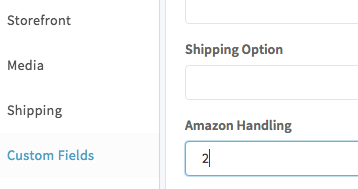 If you want to do this process in bulk, the header would be amazonhandling and your entries would be number only. If you enter "3 days" instead of 3, it will not upload correctly.